(2014/Universal) 11 tracks. 180g Vinyl. Ein Klassiker seit 1966 und einer der besten und originellsten Soundtracks der Filmgeschichte. Perhaps Europe's best-known film composer, Ennio Morricone was born in Rome on 10 November 1928. The son of a trumpeter, Morricone replaced his father in Constantino Ferri's band in 1945, and, while performing, studied orchestration, composition, and conducting at the Conservatorio di Santa Cecilia. He graduated in 1956, and, to supplement his earnings, wrote radio and television arrangements for RAI's light music orchestra. This resulted in a contract with RCA, where Morricone went on to write an astonishing 500 arrangements for artists as diverse as Little Peggy March, Mario Lanza, and Paul Anka. 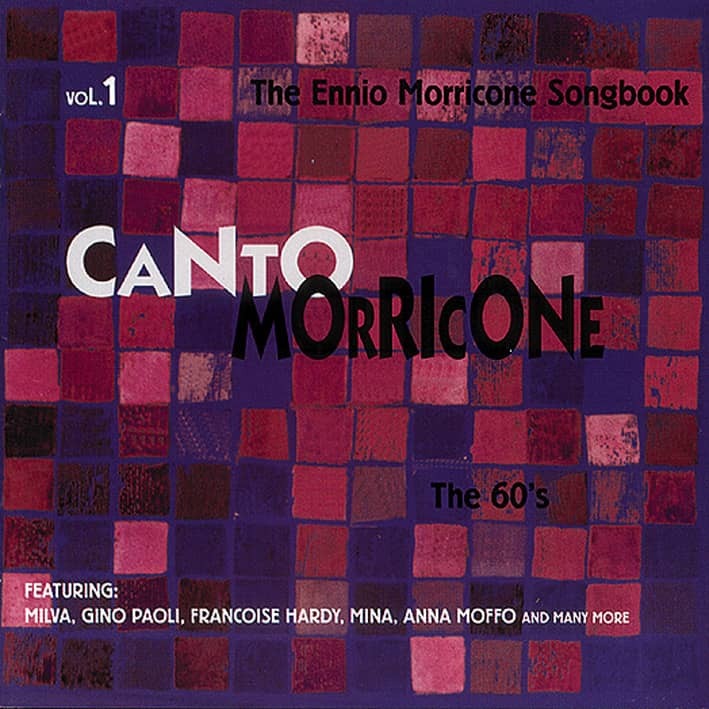 Morricone worked for RCA between 1959 and 1967, and his work included Paul Anka's Italian smash hit Ogni Volta. Ennio Morricone's first film score was for the comedy 'Il Federale' in 1961. Three years later, he was hired by Sergio Leone to write the score for 'A Fistful of Dollars', which he wrote under the pseudonym Dan Savio. In stark contrast to American western theme songs, which were often folk-based, Morricone used a haunting combination of cries and a repeated whistled phrase in 'A Fistful of Dollars'. He then worked on Leone's trilogy of 'spaghetti westerns,' and those in turn led to offers of work from leading European directors. Among the best-known films to bear Morricone's trademark skills are 'Battle of Algiers' (directed by Pontecorvo in 1966), 'Big Birds, Little Birds' (directed by Pasolini in 1966), and '1900' (directed by Bertolucci in 1976). In the Seventies, Morricone began write for American studios, and his work can be heard on such classics as 'Exorcist II' and 'Frantic'. He was nominated for an Oscar for his work on 'Days of Heaven' in 1978 and was nominated again for the score to Roland Joffe's 'The Mission' in 1986, The latter notable for Morricone's use of motifs from early sacred music and native Indian music. In 1987, he received yet another Oscar nomination for 'The Untouchables'. Most recently, Morricone was nominated in 1992 for his work on Warren Beatty's 'Bugsy'. Altogether, Ennio Morricone has scored more than three hundred movies covering every conceivable genre. In the Nineties, he seems to be working as hard as ever, scoring 'Husbands and Lovers', 'City of Joy', 'Hamlet', 'Cinema Paradiso' ...and many others. Along the way, he has also composed several albums of non-film music, and had a #1 hit in England with Chi Mai, a tune he intially composed for the movie 'Maddalena' in the early 1970s, which was used again in 1981 by the BBC television series about the British prime minister Lloyd George. The tune was used yet again in the Jean-Paul Belmondo movie 'The Professional'. Ennio Morricone still lives in Rome with his wife, Maria, whom he married in 1956, and their four children. Lately, his son Andrea has been following in his father's footsteps. Now in his seventies, Morricone continues to write for movies and has lately turned his attention to extended classical pieces. 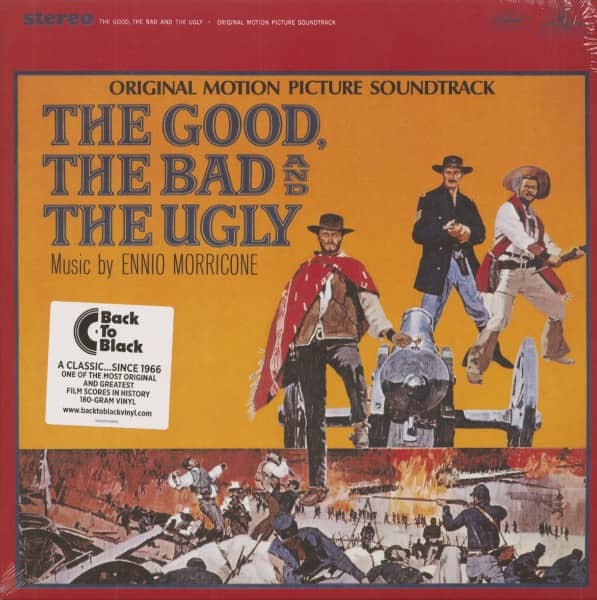 Kundenbewertungen für "The Good The Bad And The Ugly - Original Motion Picture Soundtrack"